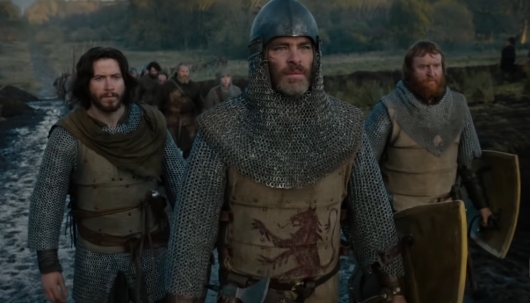 Netflix has released an official trailer for Outlaw King, the latest title from Scottish director David Mackenzie. The movie reunites Mackenzie with Chris Pine, who starred in his 2016 Academy Award nominee Hell or High Water. The movie tells the untold true story of Robert the Bruce, with Pine starring as Bruce, who fought to see Scotland freed from English oppression. Also starring is Aaron Taylor-Johnson, Florence Pugh, Billy Howle, Stephen Dillane, Tony Curran, Alastair Mackenzie, and James Cosmo. You can read more about Outlaw King and watch the official trailer below.